Dear players! We are happy to announce that next major update for War Thunder will soon be released. You can have a look at our recent devblogs for an overview of some of the new vehicles within the Japanese ground forces tree. Beginning today, you have an opportunity to pre-order special Japanese ground vehicles to gain access to the closed testing of Japanese Ground Forces with an extra bonus of unique 3D Decorations! These packs contain a Japanese medium tank with a devastating 120mm howitzer and the legendary “Tiger” tank export variant for Japanese army. Two outstanding vehicles available for the pre-order in our online store. By the end of 1944, the Japanese army needed a tank somewhat similar to Ho-I but armed with more powerful weaponry. That is why the decision was made to mount a 120mm naval gun on Chi-Ha Kai tank, replacing its standard 47mm gun. Several cylinders of the recoil mechanism have been mounted around the gun, which were protected by an armoured cowl cover. High-explosive shells contain 2.5 kgs of explosives and can destroy most enemies within its rank with a single hit. 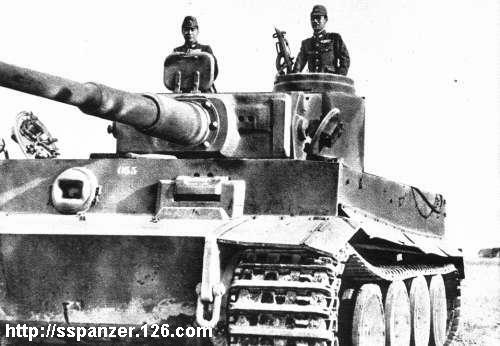 During World War 2, General Hiroshi Oshima, the Japanese ambassador in Berlin, visited the Eastern front where he saw the infamous “Tiger” tank in person. In May 1943 Japan made an offer to buy blueprints and/or an example of the vehicle itself. After discussing terms and possible variants it was decided to purchase Pz.Kpfw.VI Ausf E chassis No. 250455. This tank was also equipped with a mantlet that had a reinforced binocular sight. The machine is armed with the powerful 88mm KwK 36 gun, able to penetrate most of the Tiger's targets with ease. A japanese Tiger? Couldn't you come up with something more original for a premium? I thought the dark times of copy & paste premium vehicles, that just ruin credibility, were finally over. Now japanese teams can exist for 50%+ out of FW190 and on ground forces as well with Tigers. Couldn't you come up with something more original than old and boring "copy & paste", especially when you can clearly see that this model looks different than what we have in game? Also, looks like you missed 2nd pack. But it not fits to your theory about copy&paste, right? Chi-Ha is one little cutie! It almost asks for a hug! Almost? Poor Chi-Ha... I would hug it immediately! Awesome got both! Can you answer a question about the cockpit devblog, will you now be adding the cockpits with each vehicle or an annual cockpit patch type thing? Smin1080p, 1.65 Way of the Samurai right? Awesome, cant wait for the tiger! Yeah, and the Tiger is using the wrong model. It should have the old commander's cupola as seen on the German H1. Also no tracks on the LFP. https://2.bp.blogspot.com/-lw3CBnlVQMU/UaygQ8KlchI/AAAAAAAAAXQ/2xm1b8jPH3w/s1600/tiger0002.jpg Approximately historical, not even that. It's bad enough Japanese teams will be flooded with Tigers when the only one they ever had was never even shipped to Japan. The famous image you posted is the one that Japanese ambassador General Hiroshi Oshima inspected on the eastern front. It is not the one that Japan actually purchased which was a Pz.Kpfw.VI Ausf E (Late) model with chassis No. 250455. Our model is correct for the variant that Japan actually purchased of the Germans. The two tanks are completely separate. This update looks really cool devs!, just wanted to ask if you guys have ever considered adding the p40b or the early series of p40s. Thanks a ton and keep up the good work, warthunder is awsome!! Smin1080p, I will be very happy with the addition of more P40 Variants, one of my favourite aircraft of WW2. Now you see why Japanese tank designers were so interested in the machine. It differed very much from Japanese tank design philosophy. Anyone who is seriously entertaining having success with japan will need to lean on premiums. We'll see about this amazing post-pen effect though. Take my money Gaijin, you got me, I need these packs!